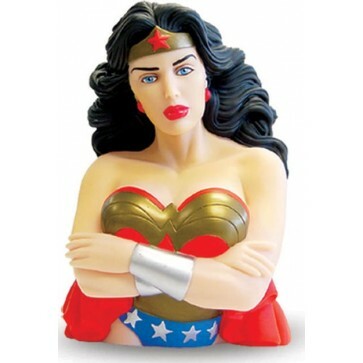 DC Comics 7" Wonder Woman Bust Bank. Made of durable plastic, features a slot in the back for money. A Superhero is any person intent on making the world a better place. Get the DC Comics 7" Wonder Woman Bust Bank. Made of durable plastic, features a slot in the back for money.